The Supreme Court issued a ruling on Wednesday that conversions supervised by former national Conversion Court head Rabbi Haim Druckman are valid in the eyes of the State. The ruling was in response to a 2009 decision to a panel of three judges on the Great Rabbinical Court which declared any conversion made by Rabbi Druckman was nullified. The decision sparked a public uproar when it became clear the regional rabbinical court in Ashdod, which was overseeing a divorce proceeding, began questioning the couple about the degree to which they kept the commandments. Later, the Ashdod Rabbinical court put the couple and their children on a list of people considered not-Jewish and therefore forbidden to marry in Israel. In the decision Judge Eliakim Rubinstein wrote, "The entire affair is to be regretted, because the Great Rabbinical Court ignored a decision made by the special conversion courts, which had they accepted, may have kept this from coming so far." "This is not to mention the human element of the case – first and foremost, the experience of the petitioners – and the disregard for the special conversion courts," he added. "Where is the regard for human dignity?" Former Supreme Court president Dorit Beinish, who presided over the case before her recent retirement, wrote, "The Great Rabbinical Court's decision quashed the general discussion of the fundamentals of the process, the rules of natural justice, and showed demonstrated contempt for the special conversion courts – which are national institutions of the country." "Above all, it caused hurt and perpetrated a shocking injustice against the petitioners and their children," she added. Legal expert Dr. Aviad Hacohen said, "The court said some sharp things which speak for themselves. Hopefully the ruling will mean the petitioners will face no further humiliation in Israel, but instead be treated with respect as befits the values of of the Jewish state." Rabbi Dr. Shaul Farber whose organization sponsored the petition said, "We are pleased to see that the Supreme Court has upheld the petition we submitted and we hope this judgment will be a boost to all those who are in the midst of a conversion process, and those debating whether to enter it." "It is hoped that the verdict will uproot the phenomenon of non-recognition of conversions, and end the ongoing injustice converts are faced with," he added. The issue of conversion standards in Israel has been a point of increasing controversy after a series of stringent rulings by Hareidi rabbinical courts rejecting conversions other than their own. 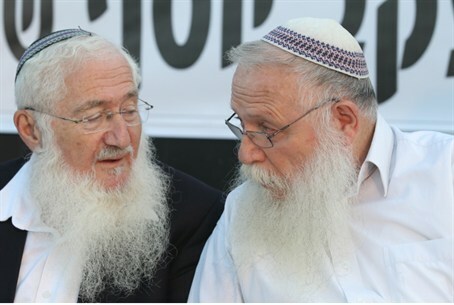 While the rulings seek ensure conversions meet their religious requirements, they have also made it difficult for those who have undergone orthodox conversions – especially those who converted with Orthodox rabbinical courts abroad before immigrating to Israel – to be accepted as Jewish in Israel.